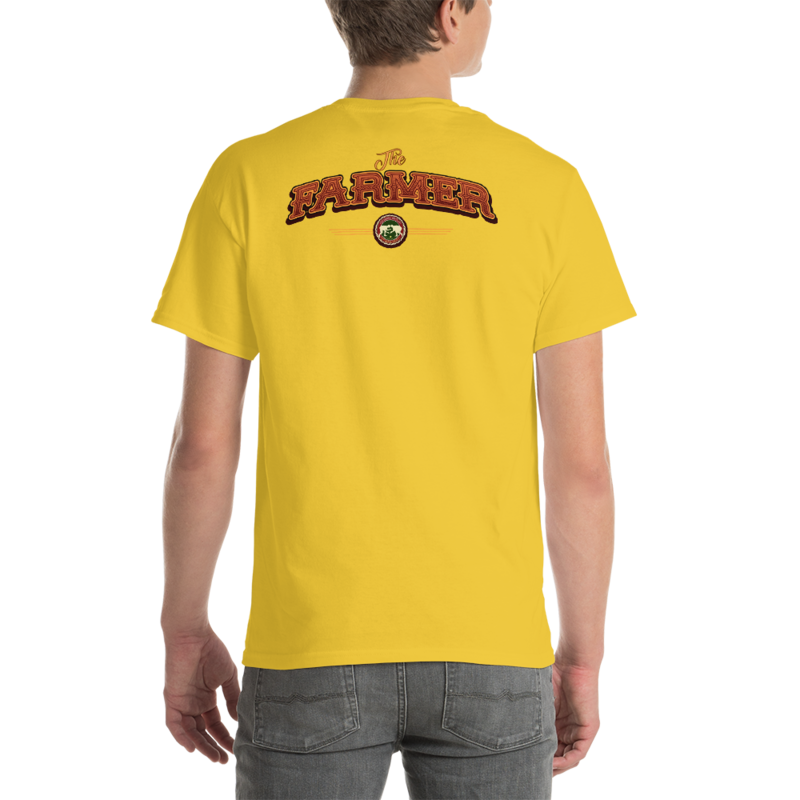 ​Visit the #PWHS Store Here for the pictured merchandise and more. McLeod is listed as the Pacific Coast Champion. Rowett is listed as the American Cornish Champion. Before the Graeco-Roman fall, Burns consented to an additional fall of Cornish wrestling to appease the audience. He lost that fall, but it did not count to the overall match. Said to be the CAC's first carnival. 2 - "Farmer" Burns def. 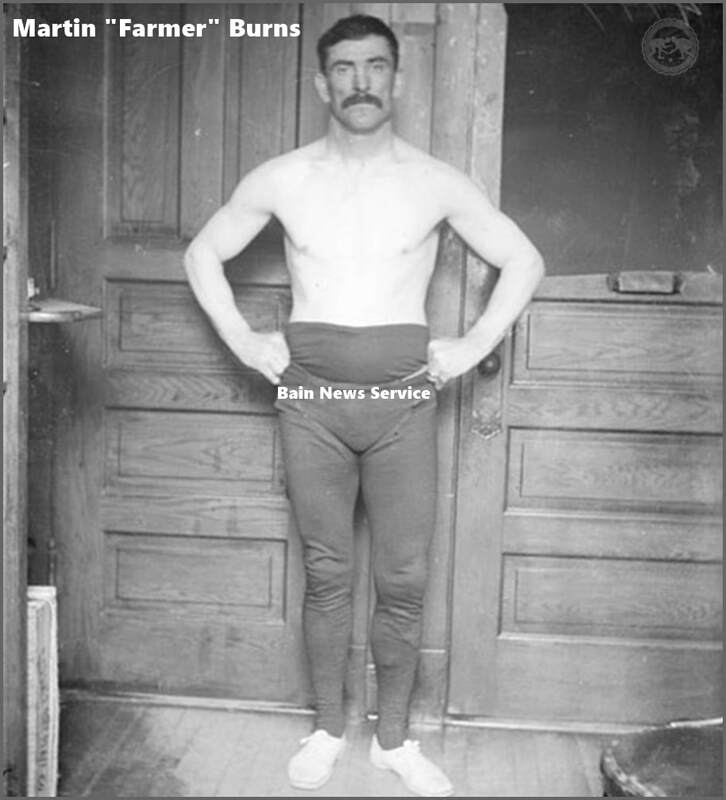 Jack Rooney "the Giant Gripman"
Burns is said to be the American Champion. "These were friendly bouts for entertainment." D.A. McMillan also wrestled on this. Shellenberg is listed as the Michigan Champion. McMillan is listed as the American Champion. Gotch is listed as the Catch-as-Catch-Can Champion. There also featured three preliminaries between local firemen and coal miners. 1 - Frank Gotch def. Ole Schellenberger "The Terrible Swede"
Martin "Farmer" Burns gave a speech. Due to the attendance being poor the show was called off and money refunded to those who did attend. The main feature of the show was a boxing match. Also scheduled to feature Martin "Farmer" Burns, Ole Schellenberger, Osley Turner & Morris Rauch. Bad house is said to be due to poor advertising and cold weather. 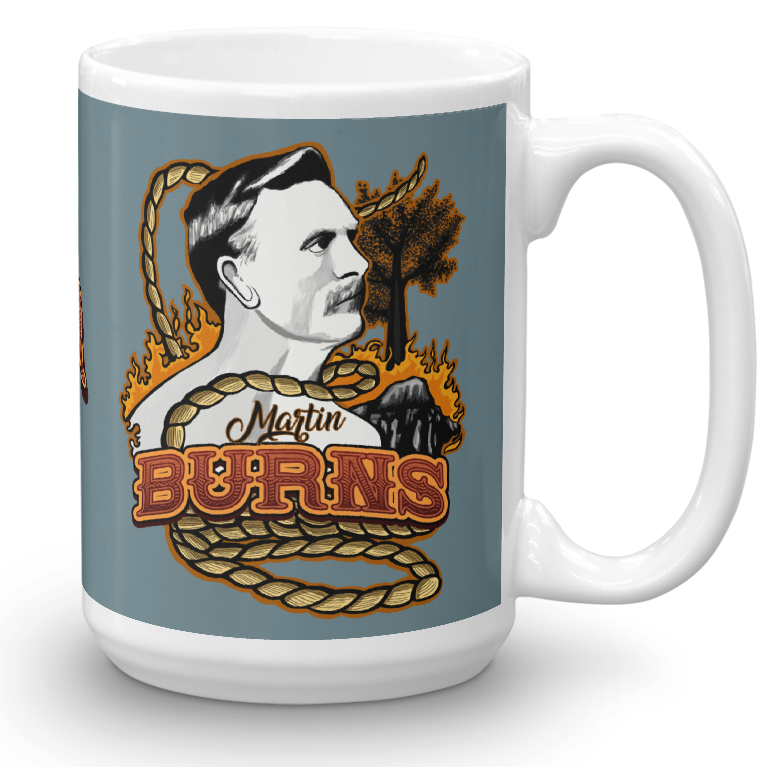 "Ten men went on with Farmer Burns and Frank Gotch. It was a burlesque wrestle, neither Gotch or Burns trying to win from their men until they had worked a few minutes. It was one continual round of fun and excitement. The audience roared with laughter as man after man made rediculous contortions and fairly fell over themselves in a vain attempt to keep away. It was an illustration of what advantage science has over the unscientific." Prior to the show starting Charles T. Kindt announced he had just received a telegram from John J. Rooney with a challenge to the Turk. 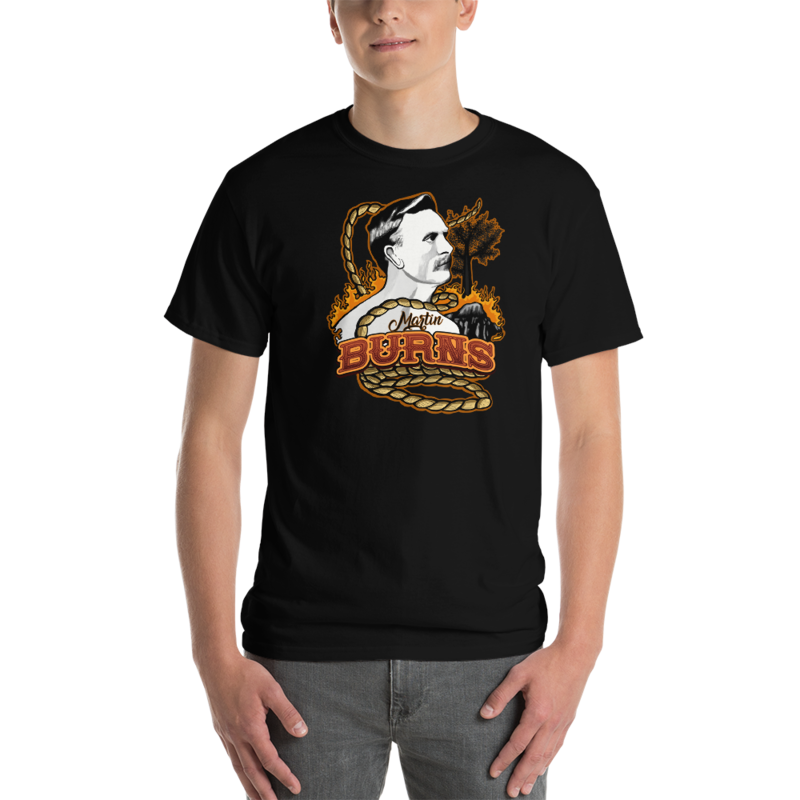 All three of the Turks opponents were pupils of Burns. Gotch was on standby to face the Turk instead of a "A Big Scot County Blacksmith," also a Burns pupil, should Voss & Carter be pinned too quickly. Burns went on instead, and Gotch would follow if Burns was thrown. Carlton/Charlton, manager of Eli & Mouradoulah, said Eli tweaked his shoulder when he succumbed to Gotch the first ime. Eli is said to be the trainer of the Turk. Featured a boxing preliminary and a ball game before it. Americus is listed as the champion of Maryland. Grant is listed as the middleweight champion. Burns is listed as the World Middleweight Champion. Berg is listed as the Pacific Northwest Champion. Not Clear who, if anyone, was the champion going in. Raymond & Charles Burns are the twelve and ten year old sons of Farmer Burns. Gotch is listed as the American Champion. Burns is listed as the American Middleweight Champion. Parr is listed as the English Champion. Frank Gotch, the American Champion, challenged the winner. Raymond and Charles are the 11 and 13 year old sons of the Farmer. The Pete Loch Quartet performed during intermissions. Gotch is listed as "The champion." The Harry Counseman troupe gave an acrobatic performance also and Counseman himself performed a wrestling match with himself. "He worked half nelsons and toe holds on himself to his heart's content." 'That was a deadly lock I happened to get on Mr. Beell, and he had to come,' said the Farmer. 'I would like another chance,' said Mr. Beell when he had a chance to make his talk. Some thought he wanted another chance for the third fall and some thought he wanted another match. Beell admits the referee's decision is final and does not deny he was thrown fairly, but wants anothr match for $1,000. 'I have friends who will put up $1,000 that I can throw Beell again,' said Farmer Burns." Between the falls of the main match Counseman and Burlew gave exhibitions of country wrestling, tumbling and balancing. Delivuk is listed as Austrian Champion. Various other sports were featured through-out the day. Gotch, Farmer Burns and Oscar Wasem were said to be the leading attractions. It's likely Wasem was Gotch's opponent not Burns. "A large platform was erected in the open air, in the middle of one of the streets of the city, and it was on this platform the wrestling took place, in the presence of a very large crowd of people. Gotch played with his man for about forty minutes, in order to give the spectators a wrestling exhibition, and finished by picking his opponent up bodily and throwing him off of the platform." There was also an automobile parade. Gotch, Burns and the Mayor, Hansen, all rode in George Phillips' American car at the head of the parade. The car carried a large American flag. Featured a massive feast including a barbeque, racing, a pie eating contest, tug of war, a balloon ascension, Farmer Burns gave a speech about himself and Gotch. Gotch is listed as the "Champions of champions in th wrestling arena." Wasem is listed as the St. Louis Champion. It's said Gotch allowed Wasem to put him in holds during the contest so as to allow the audience to see escapes.